Yes. 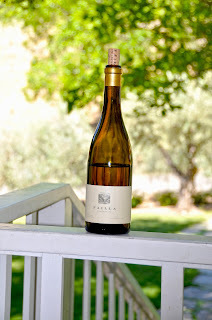 that's a photo of Chardonnay, but it's the best shot I've got from a visit to Failla, which is in Napa a bit south of Calistoga, despite the winery mostly working with Sonoma grapes. Why winemaker Ehren Jordan and his wife Anne-Marie Failla (it's pronounced FAY-la) chose this spot for their winery and cave would make sense to you, too, if you saw it, an idyllic acreage once owned by Cindy Pawlcyn of Mustards Grill fame. But Jordan appears all about contradictions. For most first knew him as winemaker for Turley, and his brilliant but bombastic zins helped set the stage for big is beautiful in the late 1990s. So when people look at Failla, which mostly makes very well-balanced, low alcohol Chardonnays and, yes, Pinots, it might seem odd. Until you realize it simply means that's how good a winemaker Jordan is. He lets the grape set the tone; warm weather zin goes big, cold weather Burgundies have to be something else. No matter, all his wine is delicious. "Our Pinot Noir is crafted to demonstrate history," is how national sales manager Cat Fairchild puts it. "With almost 30 years of experience, Ehren Jordan can undeniably capture the essence of each vintage. Thus, our wines are the ultimate story tellers. We do not ‘manipulate’ during our winemaking process and produce wines that are the purest expressions of the vineyard sites." We're talking serious vineyard sites, too. There's the Gualala Ranch Estate Vineyard Jordan bought before the Sonoma Coast was cool (well, hip cool that is), but also the Whistler Vineyard in the northernmost bit of the Sonoma coast, Keefer Ranch in Russian River Valley, and the Savoy Vineyard from Anderson Valley. In fact, at the Saturday tasting at World of Pinot Noir Failla will be pouring: the 2014 Sonoma Coast Pinot Noir, 2014 Keefer Ranch Pinot Noir, and 2014 Savoy Pinot Noir. 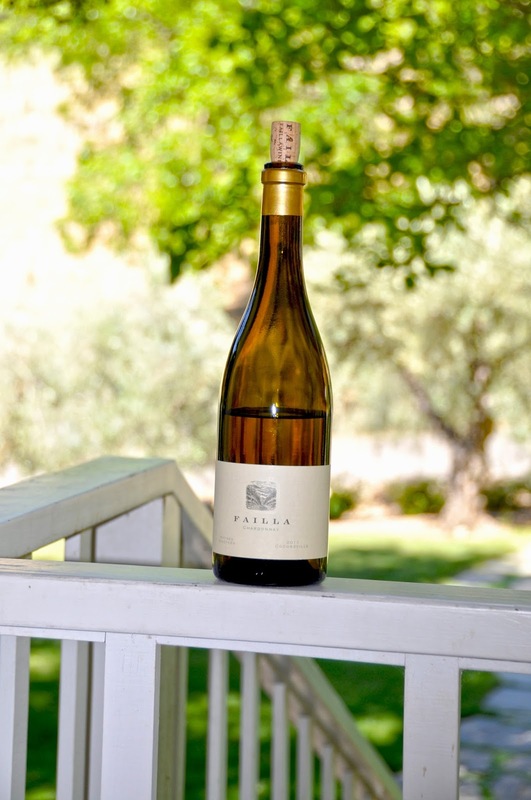 "We picked these wine because they give a holistic vision of Failla," Fairchild explains. "Our wines are made in the same fashion, so it is great to showcases the characteristics of each vineyard site. Consumers can then compare and contrast the Anderson Valley, Russian River Valley, and the Sonoma Coast." Tasting Failla is always a treat since you either have to be on the mailing list or at a good restaurant (in Santa Barbara think places like Downey's or Barbareno) to get some. But Jordan and his team like pouring, for as Fairchild says, "We are most looking forward to sharing our wines, while having direct contact with consumer. We believe our wines speak for themselves, but it is always important to us to open bottles of wine with folks because we are able to relay our story and share in the enjoyment! It is also fantastic to be in the company of so many outstanding Pinot Noir producers."